Can we start historically, with your study in the 1970s on eyewitness accounts of a car accident and leading questions? Ironically, I find students recall that extremely well. How did it come about? I was studying semantic memory. After I got my PhD and I started teaching, I decided I really wanted to do some work that had more social relevance, more obvious practical applicability. And a natural place for somebody who had some expertise in memory and a long-standing interest in legal issues was to start to look at the memory of witnesses to crimes, accidents and other legally relevant events. Then I had to decide what aspect of eyewitness testimony I wanted to look at. I came up with the idea of examining the questioning process and what happens when you question people about their experiences. So, at this point I moved to the University of Washington and there was an undergraduate student named John Palmer who worked with me. We did the study on how fast were the cars going when they smashed into each other. We showed film clips of traffic accidents, and asked participants how fast the cars were going when they ‘smashed’, ‘collided’, ‘bumped’, ‘hit’ or ‘contacted’ each other. The participants’ memory of how fast the cars were travelling seemed to be distorted by that verbal label used to characterise the intensity of the crash. That study changed our view of eyewitness testimony and how unreliable it can be. Moving on to the 1980s, you began to raise big questions about the validity of things like repressed memories. Well, that really came about because I was asked to consult on a murder case, where a woman was claiming she saw her father kill her best friend when she was eight years old and she repressed the memory for 20 years – and now the memory had come back. She also claimed to have repressed years and years of sexual abuse that her father supposedly committed upon her. When I started to consult on this case I found the lawyer was just shaking his head, and saying ‘What do you know about this concept of repression?’ So I started to delve into the literature and the evidence for it. I was actually pretty shocked that there was no credible scientific support for the idea that you can massively repress years of brutalisation and be completely unaware of it and then reliably recover it later. Of course, just because there isn’t credible scientific support for it doesn’t mean that one day we won’t have it. And just because there isn’t credible scientific support for repressed memories that can reappear does not mean this never happens. I don’t go around deciding whether memory is real or not unless there is independent corroboration that can either confirm a memory or disconfirm it. That’s interesting. You started up as and still are a professor of psychology, but am I right in thinking you are also a professor of law? Yes, I am very involved in legal cases. Starting in the 1970s I began to consult when there are memory issues in criminal cases and civil cases, but I am currently Professor of Law at my university as well. Is it unique to be a professor of both things or are there academics that have a foot in both camps at this level? Oh sure, yes – there are people who have both a PhD in psychology and a law degree. I don’t have a law degree, but my work involves legal matters. There’s an organisation – the American Psychology and Law Society – which is full of people who are interested in that intersection between psychology and law. In relation to murder cases you’ve been involved with some high-profile cases like the serial killer Ted Bundy. What was he like? I actually testified on Ted Bundy’s first case, which was an aggravated kidnapping case in Utah, in the 1970s. That was before we really knew who Ted Bundy was. He was a charming man! He was absolutely charming and obviously very sick but we didn’t really know that at the time. You also worked on the Lockerbie case – al-Megrahi was convicted on eyewitness testimony. I was pretty dubious about that guilty verdict. What did you think? Yes, I had studied the eyewitness testimony in that case. The key evidence against al-Megrahi was the testimony of a shopkeeper who claimed that he sold him clothing that was wrapped around the bomb that blew up the plane. But there were some pretty questionable aspects of that eyewitness testimony. I think there’s a reason why the commission in Great Britain decided there was a question about his innocence and it all got over-shadowed when he got sent back to Libya for health reasons. I agree – a dubious conviction. I guess we should move on from that rather worrying case! Tell me about the ‘lost in the shopping mall’ study, what happens there? I got involved in the whole repressed memory controversy, because I acted as an expert witness in relation to a murder case where the defendant was a man called George Franklin – a very famous case in the United States. He was convicted based on nothing other than this claim of a repressed memory that had returned. I had concerns about this and became interested in memory distortion in relation to the misinformation effect. We knew that we could make people think they saw stop signs instead of yield signs and glass that wasn’t there. But the notion that really big false memories might be planted in the mind of an accuser was a real challenge. So I wanted to study this phenomenon – a process by which people could come to believe whole events happen to them that didn’t. I had to come up with an idea, but what could you plant in the minds of people? The Human Subjects Committees are not going to let you try and convince these college students that their fathers raped them so we needed some kind of analogue, something that would have been at least mildly upsetting, and see if we could convince them that it actually happened. Then we came up with the idea – why not try and see if we can get people to believe they were lost in a shopping mall at five or six years old, that they were frightened, crying and rescued. So that is the false memory that we eventually succeeded in planting, at least in some of our subjects. What proportion would believe that this had occurred when it had really been implanted? In the paper we reported that a quarter of the sample developed a complete or a partial false memory of being lost. Other investigators have picked up this paradigm and planted even more unusual and bizarre memories, like you were attacked by a vicious animal or you had a serious indoor accident or you nearly drowned and had to be rescued by a lifeguard. They too, succeeded with a significant minority of subjects. Somebody did an analysis of, I think, the first eight or 10 studies of this type and reported that on the average in these studies the figure was that around 30 per cent had fallen for the suggestion. Then you published a book called the Myth of Repressed Memory in 1994. How can you determine that a repressed memory might be false? When I get involved in court cases where somebody’s testifying confidently they have this repressed memory that has come back and they are accusing somebody of wrongdoing, I look to see whether there are sources of suggestion. Did they go into therapy and say ‘No, I never was abused’ or that there were occasional problems but they had a terrific childhood, and then something happens later on and now they’re saying ‘He raped me for 10 years’. What happened? So I want to know, what was that therapist doing? Sometimes we can get a clue by reading the therapist’s notes. Every now and then some of the sessions are tape-recorded. And so now you have a very nice record of what the therapist was doing. There are also other ways I can figure out what might have happened. Sometimes these therapists will write articles and books and give workshops and teach other people what they ought to be doing and that’s a clue about what they are doing with their own patients. And so, those are the kinds of things that I am looking for. Are there examples of suggestion in the life of this client that could be responsible for leading the client to have false memories? Another area that’s astonishing is the notion that a lot of people believe they’ve been abducted by aliens. How can that come about? I think something very similar is going on there. With the alien abduction cases, what happens in many of them is often there are some symptoms that the person can’t explain. One of the common ones that you hear about with the alien abductees is they have sleep paralysis which is a frightening experience. I’ve been reading about it for a long time in connection with alien abduction and then it happened to me – you’re awake and you can’t move. Fortunately, I said to myself, ‘Oh my gosh, this is it!’ So they know they have had a strange experience and end up seeing somebody who believes in alien abduction. They end up surrounding themselves with other people who think they were abducted. This helps to confirm their belief and in some cases there may be hypnosis going on. What’s amazing about these people, as shown by Rich McNally at Harvard, is when they listen to auditory scripts of their own abduction experience, played back to them, they’re highly aroused. Their heart rate rises, they are sweating and are as aroused as non-abducted people are about their own traumatic experiences. This is all part-and-parcel of forming a belief that they have been abducted by aliens. You’ve been involved in a lot of cases involving questions about memory – some of them quite controversial. With hindsight are there any cases where you think ‘I wish I hadn’t got involved’? The biggest problem for me was a case history that I looked into because I thought it was really fishy. It was a psychiatrist who was trying to fob off this case history as the new proof of repressed memory and he wrote an article about this Jane Doe that I thought was very fishy. One summer I set out to see if I could crack the anonymity and find this family – and actually I’m quite proud of the fact that there are 300 million people in America and I found the Doe family! Once I had found the family name, I could get into the divorce file and once I got all these documents from that then I found it was really fishy. But, this case created a tremendous hassle for me and when Jane Doe complained to my university, the university was investigated. I was cleared of wrongdoing. I then moved to the University of California – but Jane Doe sued and so we had four and a half years of litigation that just ended. And so it was a long and drawn-out process. I wish that hadn’t happened because it was miserable and expensive – but it’s over now! Politicians sometimes have poor memories. What do you think was going on with Hillary Clinton when she claimed she had landed in Bosnia under sniper fire, and the films show that it wasn’t anything like that? I’d love to talk to her sometime about it, but I can only speculate. One possibility is that she may have undergone some briefing. You know, ‘We’re going to go into Bosnia and there could be some hostility that erupts and here’s the backup plan in case there are snipers’ and so she’s reviewed the plan in preparation for the worst. And then 12 years later she remembers the plan rather than what actually happened. That’s a speculation. It’s also possible that she heard about this happening to other people and then misremembered it as her own experience. That’s the kind of thing we do in our studies. We let people hear other people’s versions of events and they adopt them as their own. I told them. In some places they were really quite bad! Well, actually, you’re very normal because Harry Bahrick wrote a paper showing that people remember their grades as better than they really were. And he did that by getting people’s memories of their grades and then looking at their records, and there you go! I think that’s just one example of a prestige-enhancing memory distortion that happens to many of us… people do not only remember that their grades were better, but that they voted in elections they didn’t vote in, or they gave more to charity than they really did. Their kids walked and talked at an earlier age than they really did. All of these are memory distortions that are spontaneous that maybe make us feel better about ourselves. You are ranked as one of the top women psychologists of the 20th century. How do you feel about that? I was very proud of that. I think that helped me get this very plush job at the University of California, Irvine because it had just happened before I got my job offer. It’s special when you consider that there are a lot of dead men at the top of the list like Freud, Piaget and Skinner! I’d be interested to find out how they calculate these things? It’s quite complicated – they calculatedit on the basis of a number of things including number of citations and election to prestigious organisations. I guess a lot of that has happened for me recently. and legal matters. 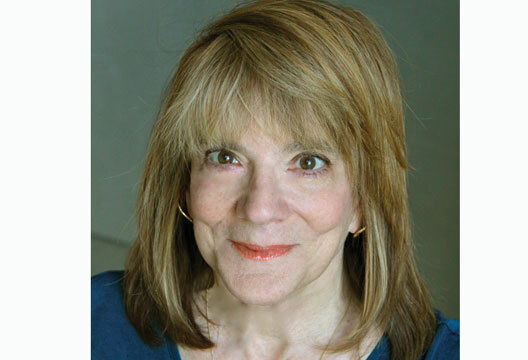 So what’s next for Elizabeth Loftus? I wrote the same one, but this time I mean it. I put that back in the box. In the next year the whole repressed memory thing hit and it just took me away with it. Suddenly I was devouring all that different literature. I’d been reading about police interrogations and the entire legal field and I spoke to lawyers, but now I was reading the work of therapists – their writings and their teachings and workshops. I just had to learn a whole new world. It’s still connected to memory and it was a pretty exciting time to be that devouring of that knowledge. No, I haven’t done that. That murder case was in 1990 and I’ve been involved in battling the “memory wars” for some time now. I don’t know what’s going to be next. I can’t imagine you treading water for long – I will look forward to seeing you swim ahead with your next idea!